On a standard chess board with individual squares that measure two inches on each side, what is the largest circle that can be drawn so that the circumference lies only on black squares? It's possible to fit a circle larger than 2" on the board with the circumference completely on back squares. It's just over 6 inches in diameter. I can visualise it but I can't do the maths. Possibly 6.31416.
we can draw the largest circle which runs over 8 black squares, and covers 4 white and 1 black ones inside. The circumference lies only on black squares, i.e. it runs over adjoin-points among black and white squares. 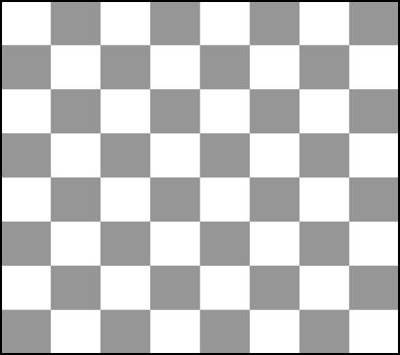 how do you place 8 dots on the checker board so they don't line up horizantaly, vertical, or diagonal?